Physically, FOTOCAT is an Excel file of UFO and IFO cases where an image has been obtained on photo, film or video. It contains various data columns to register the date, time, location, province and country, explanation (if one exists), photographer’s name, special photographic features, references, etc. When completed, the full catalogue will be posted in internet, for an indiscriminate access to the worldwide UFO community. FOTOCAT has 6,518 entries at the time of writing, or 326 reports more since last January. Cases span from January 1, 1900 to December 31, 2005, when a cut-off date was established in order to concentrate on past sightings. Present and future reports are left for future researchers to compile. After more of 30 years of continuing interest in the UFO business, artist and Arts professor Manuel Sánchez Méndez has opted to donate us his personal UFO library books, files, magazines and videos. Several boxes with this material were picked from his house on February 7, 2006 and this is now under processing. Thanks a lot! In an unprecedented effort under the project leadership of Juan P. González, auspicated by the Spanish Anomaly Foundation has completed an important goal, to get together none less than 20 different regional or subject catalogues in Spain. Coming from several sources, these have been consolidated into a single database called CUCO, the acronym of Catálogo Unificado de Casuística OVNI (Unified Catalogue of UFO Sightings). CUCO has 8,500 entries corresponding to 7,000 distinct observations for Spain, Portugal and Andorra. Thanks to Juan P., I have been able to check all photographic cases in the set and found some 30 cases missing in FOTOCAT, reports that have been duly added to our case collection. Spain shows 580 events recorded by FOTOCAT, the third country in number of photographic sightings known, after the United States of America (1896) and Argentina (665). Detective Constable 1877 Gary Heseltine, from the British Transport Police, is the author of THE 4TH ANNUAL PRUFOS POLICE REPORT 2005, where summaries of 163 UFO cases between 1901 and 2005 involving over 400 British Police officers (both on duty and off duty) are included. Gary -who also edits the UFO monthly.com- has been kind enough to send us his catalogue, which unfortunately, only describes 3 photographic incidents, now on our records. Thanks are due to ufologists from Argentina Alberto Brunetti (GIFAD from Mercedes, Buenos Aires), Oscar Raúl Mendoza (from Santa Fé) and Mario Luis Bracamonte (from the COR group of Rio Cuarto), who are providing input on several cases in the catalog. An important input from Portugal. 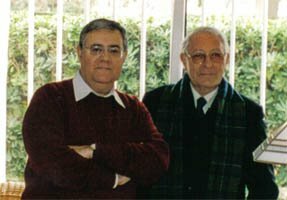 Joaquim Fernandes, Fernando Fernandes and Mário Neves are three outstanding names in Portuguese ufology. Veterans in UFO research under scientific principles, presently they hold key positions in the CTEC, which stands for Center for Transdisciplinary Studies on Consciousness, based in the University Fernando Pessoa, in Porto. I have been a long-time friend of the first two, and considering that Portugal is Spain's western neighbor, it was natural to establish a link for communication of UFO photographic events reported in Portugal to FOTOCAT. Nowadays, the CTEC catalogue of UFO cases is being reviewed for data transmission purposes to our database. We thank Joaquim, Fernando and Mário for their assistance. Ray Stanford has communicated us two image documents of value, high-resolution scans of first-generation prints of the two photographs taken by Paul Trent, May 11, 1950 in McMinville, Oregon. Those were printed from the original negatives and handed over Ray by Dr Bruce Maccabee several years ago. I am sharing these photographs for all UFO students to appreciate. photo 1 by Paul Trent (2'6 Mb). photo 2 by Paul Trent (3'7 Mb). May 11, 1950. 9 miles West of McMinnville, Oregon (at 45.1019° North, 123.3331° West). 7:20 p.m. (PST). Evelyn Trent was feeding the rabbits in her backyard just before sunset when she spotted an object to the North in the distance and called out to her husband Paul Trent, who was in the house at the back door, asking him to retrieve their camera. She went into the garage to look for the camera but he found it in the house, ran out into the yard toward where his wife had been then he saw the rapidly approaching large metallic object to the N heading almost directly towards them, "tipped up" its flat underside towards them, felt a gust of wind seemingly from the object, snapped a photo of the object at azimuth 334° (about NNW) elevation 14°, angular size 1.67°, then as the object turned on a W heading he walked 5 ft to his right to compensate for object's motion to the left, snapped a 2nd photo about 30 seconds after the 1st, which shows a metallic pie-pan shaped object 1.46° angular size with a large off-center angled antenna or pole projecting from the top, at azimuth 317° (about NW) 12° elevation. Evelyn had joined him by the time Paul started taking pictures and later described the arc covered between photos as about 15° (close to actual figure 17°). Distance and size of object estimated by the witnesses as about 1/4 mile distance and 20-30 ft diameter, or "parachute-sized" (about 24-28 ft), which size/distance figures translate to a maximum angular size 1.3° (close to the photographically measured 1.46°-1.67°). Condon Committee and Bruce Maccabee estimated distance about 1 mile and object diameter about 100 ft but methodology is mistakenly based on excess brightness of what was supposed to be dark shadow of the bottom of the object (in fact the bottom was not in shadow but caught sunset sky illumination at near grazing angle 2° off of direct sunlight). Several other witnesses reportedly saw the object. Those flying entity videos have been recorded in Mexico City (Federal District) and in Cuernavaca (state of Morelos) from February 2000 to June 2005, mainly by a group of sky watchers that call themselves “The Vigilantes”. Therefore we thank the contribution by Mexican ufologist Carlos Martínez, he who has provided us a video clip from a recording made on March 19, 2000 in Mexico City by school teacher Ana Luisa Cid Fernández. This film clearly shows what it all about: a balloon, exactly one of the types named Buzz Light Year. The reason why some videos released in ufological media present the images curiously unfocused is left to ponder. 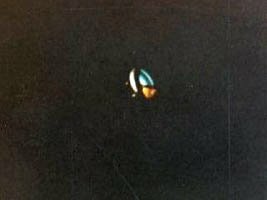 Neither originally sent to us (it is a classic one) nor unexplainable, yet there something we can add regarding the famous Tulsa, Oklahoma UFO photo allegedly taken on August 2, 1965 by 14-year-old Alan Smith. I also cited a contemporarily account that the US engineer Larry Robinson wrote on this image: “I think this was a failed Christmas photo. The object is a color wheel for an aluminum Christmas tree...the object is not the subject of the photo, it is not centered in the frame, but is at one edge, I think a flashbulb failed. When the negatives were examined, the picture was between two Christmas pictures, this shows the photo was taken in December, not August.” And that the photo is a hoax, I would add myself. An approximation to the fake, courtesy Joel Carpenter. 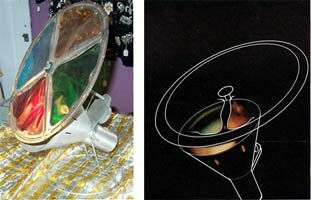 Later one, Joel sent me “a quick sketch of how this particular lamp might explain the UFO photo”, one which I am sharing with my readers. I have listed FOTOCAT by name of cameraperson since January 1, 2000, to reveal how many different reports were claimed to be sighted by the same eyewitness. There are 1,554 reports for the period 2000-2005. Name is already included in the database for 1,033 cases. Not by full surprise, I have found out that 306 of these accounts, or 30%, proceed from people that have seen and recorded UFOs over three times. It clearly justifies my recent decision to stop the entry to the catalogue of cases occurred beyond December 31, 2005. Biological detectors, human beings endowed with almost supernatural powers to feel UFOs, and have a camera at hand. In my judgment, more than improbable. Special optical acuity persons, those with outstanding visual capacity to observe and discriminate anomalous phenomena in the skies. Alternatively, especial phenomenological areas. Extremely rare, in my opinion. Good-intentioned day or night watchers, amateurs with an inclination to the ETH belief who take for UFOs every distant light or moving object they see in the heavens. I guess this is the most frequent possibility. Crackpots and lunatics of all kinds and motivations, obsesed to prove that extraterrestrials are here, with the help of their stills and movies. Some of them fill into this class, I am sure. I invite the readers to place the repeaters of the list below in any of these categories, based on the quality and strangeness of the images they present and, most important, on their management or exploitation of their UFO observations. I will present now, ordered by number of sightings provided, the individuals with 3 or more personal (so called) UFO cases experienced since January 1, 2000 that we are aware of (typically the total number must exceed these figures, and there are some of them who claim to have taken hundreds of thousands of photos of UFOs). The following sites contain very knowledgeable information on the natural production of the so-called “orbs” in digital photography, and I thank the Brazilian ufologist Claudeir Covo for the links. We expect from Claudeir Covo a vast, authoritative paper which solves and explains the magic and mystery of this visual extravaganza, one which is closely associated to the new technology of digital cameras. The last issue of the excellent Belgian publication Inforespace, number 111, December 2005, is almost fully devoted to several descriptive papers and analyses on the famous slide taken April 4, 1990 at Petit-Rechain, near Verviers, province of Liège (Belgium). We can find articles by Patrick Ferryn (including the skeptical views by Wim van Utrecht and a quite comprehensive bibliography), André Marion, and Benoît Mussche. the collection UFOs: A History. Loren E. Gross has just published his monograph devoted to the period July-December 1963. One that he has distributed entirely free of charge to a number of UFO researchers from the United States and elsewhere. I am amongst the priviledged to receive them. Loren accompanied a letter to this volume, saying that “this monograph will be my last. After thousands of dollars and thousands of hours, I´ve done all I can”. Well, let me tell you that Loren has edited some 83 monographs covering 1946 to 1963, with a volume for the 1896 wave and another versed on Charles Fort, some of those reports saw a second, enlarged edition. The private publishing started in 1974 and it ended 2005, encompassing some 7,000 pages of information. 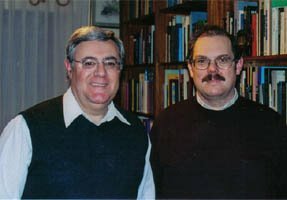 A painstaking, marvellous, labor-intensive, expensive and massive work which has permitted that we gain access to almost untrazable materials related to the first 18 years of the UFO phenomenon in the world (with higher emphasis in the US reporting). It represents a treasure for the student and Loren Gross has provided a historical service to the international community. This is my hommage to this outstanding job. Loren, you have earned your own place in the UFO History! Thank you. Research by French painstaking ufologist Patrick Gross has produced two interesting documents related to UFO snapshots achieved in the Marseille city in May and August 1954. In spite of past hard newspaper searches, both photographs have remained inedit to our days. FOTOCAT Project thanks Monsieur Gross http://www.ufologie.net for informing us about the discovery. 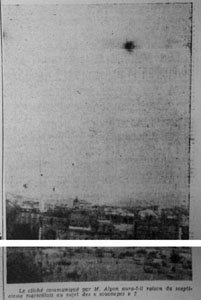 A Monsieur Ates submitted this picture to “Le Provençal” newspaper stating it was taken by a friend at 18,30 hours on May 26, 1954, over Marseille, department of Bouches-du-Rhône (France). 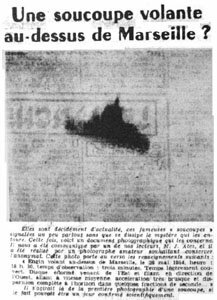 Witness and photographer Monsieur L. Alyon reported to have obtained this photograph over Marseille city at 19,30 hours of August 9, 1954. Although 50+ years have elapsed since the date the shots were done, we invite urgently our French colleagues residing near the area to try to verify the facts, starting to retrieve the originals from the newspaper and also attempting to locate the witness and the sender. Either a joke or a valid evidence, it will only be disclosed by an on-the-spot inquiry.